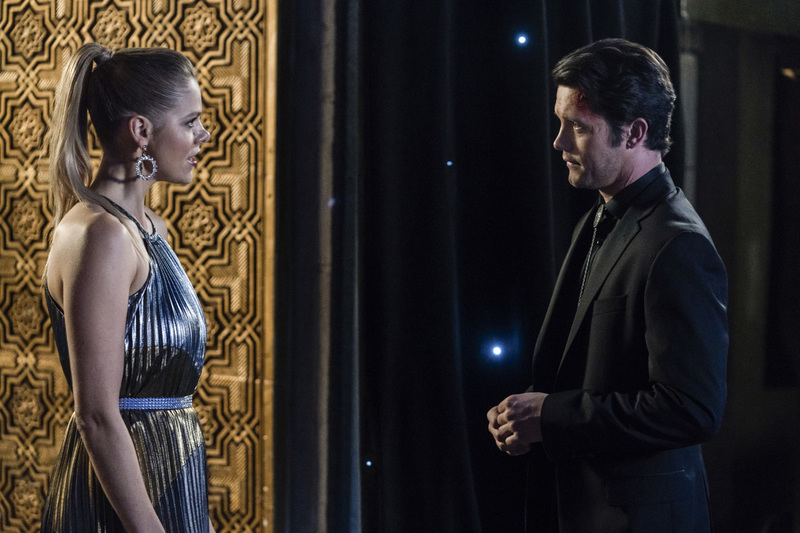 Official CW description and preview images with spoilers for the Roswell New Mexico episode "Champagne Supernova"
The CW has released an official description for “Champagne Supernova” which is the Tuesday, April 9 episode of Roswell New Mexico. The description doesn’t have a lot as far as spoilers go, but here you go anyway. NIGHT AT THE GALA — As the town prepares for the UFO Emporium Re-opening Gala, Liz (Jeanine Mason) and team find themselves on a collision course with an unlikely enemy. Nathan Parsons, Michael Vlamis, Lily Cowles, Heather Hemmens and Karan Oberoi also star. Edward Ornelas directed the episode written by Adam Lash & Cori Uchida (#111). Original airdate 4/9/2019. UPDATE: We now have some official preview images!